If current rates of extinction continue, the statement warns, we could see the loss of 75 percent of vertebrate species within three centuries. As conservation scientists struggle to stem the catastrophic loss of biodiversity, some synthetic biologists are working to bring extinct species back to life. You might think the two groups would be working together. But until recently, most conservation biologists knew little of the so-called "Revive and Restore" movement, which until the TEDxDeExtinction conference in March, had been meeting largely behind closed doors. Following a private meeting of “de-extinction” pioneers at Harvard Medical School last February, the National Geographic Society and San Francisco’s Long Now Foundation brought molecular biologists and conservation biologists together in October to discuss strategies for resurrecting extinct species. The organizers admitted just one journalist to the October meeting, and orchestrated media coverage of de-extinction with the TEDx conference and a National Geographic cover story a few weeks later. But some working on the front lines of biodiversity conservation are skeptical. 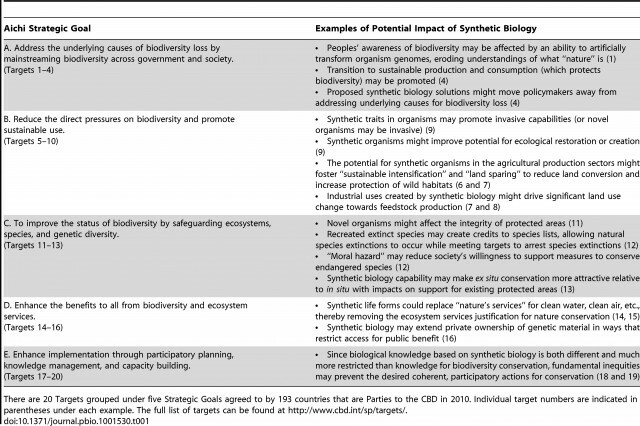 In a commentary published in April, leading conservation scientists noted that few of their colleagues had considered synthetic biology’s potential effects on conservation, even though it might “transform...the prospects for maintaining biodiversity.” The authors outlined several ways that recreated extinct organisms could potentially affect strategic biodiversity goals—some positive, many negative. Their point was that no one knows, but conservation biologists better start paying attention (see chart, below). Hank Greely, director of Stanford University’s Center for Law and the Biosciences, admits a longstanding fascination with the prospect of reviving extinct species, but couldn't decide whether it was really a good idea. So he organized a conference at Stanford last week and invited philosophers, lawyers, biologists, and wildlife professionals to think through the complex ethical, legal and political issues de-extinction raises. “I think one of the reasons this issue has bubbled to the surface so quickly is that the technology is converging with the coolness of the idea of bringing things back, mixing with a sense of guilt we feel with driving things extinct,” University of Kansas law professor Andrew Torrance told me. But de-extinction raises several “definitional conundrums,” he said in this talk. Are de-extinct organisms GMOs? Invasive species? And where would a resurrected species fit into environmental law? Conference co-organizer Alex Camacho, director of UC Irvine’s Law Center for Land, Environment and Natural Resources, said the Endangered Species Act has no framework for de-extinction, since its creators couldn’t possibly have imagined the prospect. Shortly after revival of an organism, a species could potentially be listed as endangered, but is it the same species? A new species? An endangered species? The ESA defines endangered as “in danger of extinction throughout all or a significant portion of its range.” But what is its range? Does it have a range? Presumably not, if you have one organism sitting in a lab, Camacho said. Technologies for recreating extinct species include back-breeding, cloning and genetic engineering. Though all have the potential to accomplish the task, said Beth Shapiro, an evolutionary biologist and ancient-DNA expert at the University of California at Santa Cruz, they also have drawbacks. With back-breeding, scientists identify traits in the closest living relative and selectively breed offspring expressing desired traits until the animals resemble their extinct cousins. Sequencing bone and tooth fragments from extinct species speeds up the work of homing in on similar genome sequences in closely related descendants. Scientists in the Netherlands are using this approach to recreate the auroch, giant wild European cattle that went extinct in 1627, from domestic cattle. Cattle have a generation time of three to six years. Trying to revive mammoths from increasingly bigger and hairier elephants, which start reproducing on average at 20 to 25 years, could take centuries. More problematic is cloning, where scientists remove the nucleus of an egg cell, replace it with the nucleus from a donor cell, tweak it to grow as an embryo and implant it in a surrogate mother. The process is highly fraught. Dolly, the famous cloned sheep, was the only lamb born out of 277 attempts—all the other clones died in utero or shortly after birth. In what’s considered the first successful de-extinction using this method, a Pyrenean ibex (a large wild goat that went extinct less than 15 years ago) carried by a hybrid ibex-goat, lived all of 12 minutes, and all in acute respiratory distress. If researchers attempt this with elephants as surrogates, it’s likely that the much smaller elephant mother would not fare well carrying a mammoth to term. * That doesn’t account for the ethics of turning such highly intelligent social animals, who appear to grieve the death of their kin, into mammoth-resurrection machines. 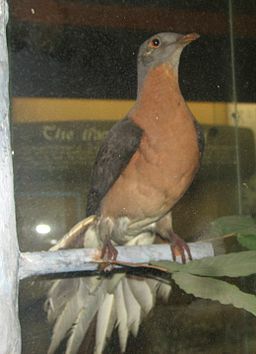 A specimen of the passenger pigeon, (Ectopistes migratorius), at Cincinnati Zoo and Botanical Garden. Passenger pigeons once numbered in the billions. 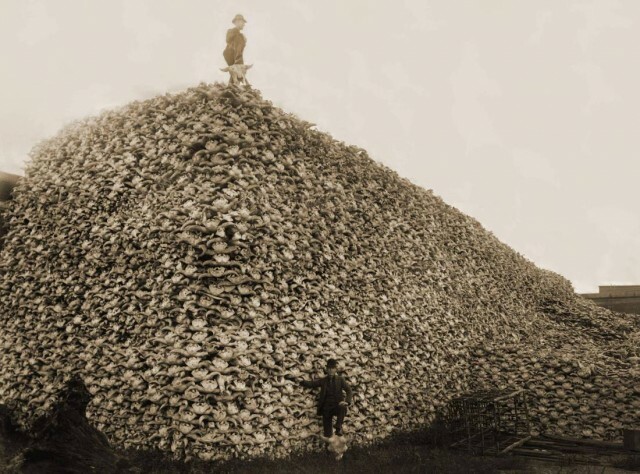 Overhunting and habitat loss led to a catastrophic decline within 20 years, and extinction by 1914. Both methods, however, require intact genomes, which means you’d have to freeze cell lines taken from species before they went extinct. “If we’re going to de-extinct something that’s any older than something that we recently killed, we’re stuck with ancient DNA,” Shapiro said. And that means dealing with tiny fragments of DNA that are often tainted with bacteria and other contaminants. That leaves genome editing, finding the sequences that code for traits of interest and pasting them into an existing genome. But researchers are still refining methods to find the right place in the genome and deliver the DNA without creating problems like cancer. An even bigger problem is figuring out which parts of the genome make a mammoth woolly, the sea cow so big or passenger pigeons flock together, Shapiro said. Even if you could reconstruct the genome of an extinct species, the jump to assigning function to sequences is enormous. And that, for many working to conserve biodiversity, is the primary question. “Conservation biologists worry that if people think we can revive species they won’t care about protecting what’s left,” said Kate Jones, joint chair of ecology and biodiversity at University of College London and the Zoological Society of London. Then there’s the question of what you do with a species you’ve revived. Jamie Rappaport Clark, who served as head of US Fish and Wildlife under the Clinton Administration and now leads Defenders of Wildlife, urged de-extinction proponents to consider the politics of reviving species. De-extinction could justify stalling action on restoring habitat or saving species, for example. That would have doomed the Florida panther, which received an influx of genes from airlifted Texas cougars under her watch in a desperate move to save the big cat. He retrieved a piece a paper from his brief case and returned to tell Brand a story about the public’s uneasy relationship with predators. “We shot the last wolf in California about 100 years ago,” Bonham said. “One month after I came on the job, we got our first wolf back in California in 100 years.” Half the state wants him to create a wolf preserve. The other half wants to see history repeated. “We’re not ready,” he said. Bonham read a passage from the 1982 Fish and Wildlife grizzly bear recovery plan. “This is an animal that cannot compromise or adjust its way of life to ours. Could not by its very nature, could not even if we allowed it the opportunity, which we did not.” The only place for the grizzly bear in California remains on the state flag. “How in the world do you expect a saber tooth to fare any better than...the grizzly bear?” he asked Brand. Jones asked Brand if any of the concerns conference participants raised about de-extinctinon had altered his vision. "Not yet," he answered. "It makes me more determined...that we make completely sure that everybody understands that de-extinction and conservation are in no way competitive." 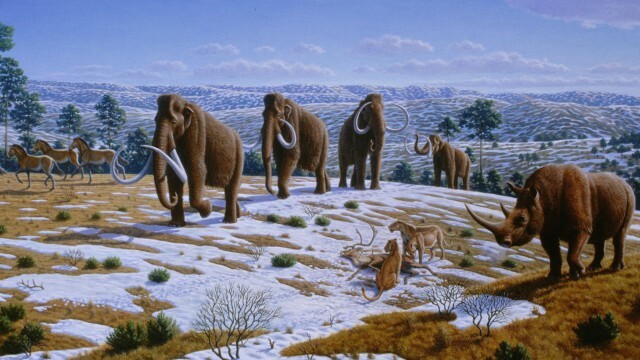 He said there's now a generation of kids who now want to see woolly mammoths in a zoo. "When they do I think they'll adopt a non-tragic relationship to nature and conservation with a sense that humans can...undo even serious damage like extinction." Elizabeth Hadly, a Stanford paleontologist and Paul S. and Billie Achilles Chair of Environmental Biology, helped craft the recent call to action to policymakers. She thinks laboratory innovation rather than on-the-ground research is behind the de-extinction push. Funding for ecology and conservation pales compared to the big grants funding genomics and synthetic biology. Although she’s at Stanford, Hadly did not attend the conference. It pains her to think about what that money could do to protect the species already here—some hanging on by a thread. She calls de-extinction “gee-whiz science at its worst” and thinks justifying it in terms of genetic diversity and ecosystem services makes no sense. *Note: Scientists think woolly mammoths were roughly the same size as Asian elephants, though the Columbian mammoth (which once lived in California) was bigger.